Payment for rent or security deposits may be in the form of personal check, money order, or certified check, payable to Summer Pointe Apartments. We do not accept cash or post-dated checks. Please indicate your apartment address on your payment, so it's credited to your account. 1. Click here to go to Payclix. 3. Enter your email address. Then select the property (apartment complex you live in or applying for, example: Summer Pointe, Springfield, etc). 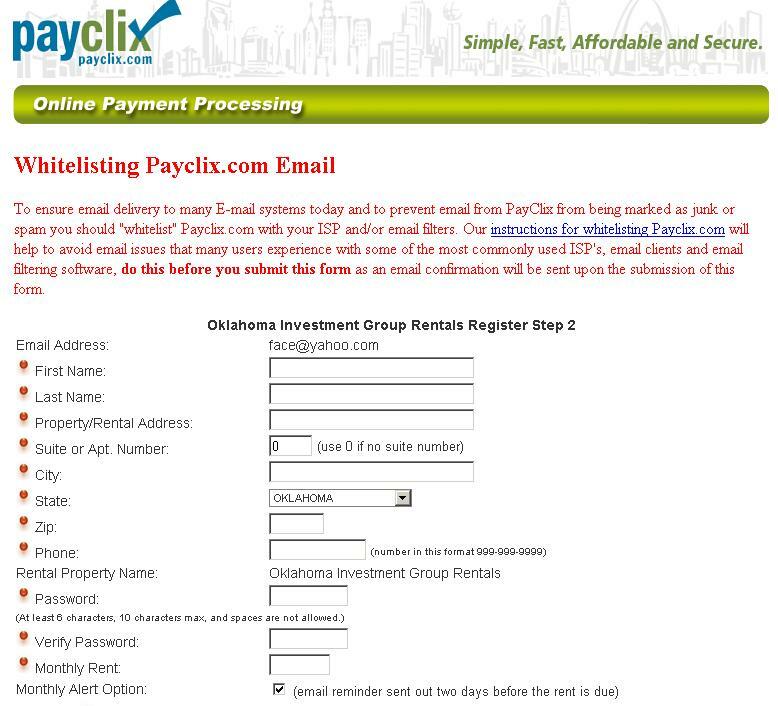 If you don't know the name of the apartment complex, choose "Oklahoma Investment Group Rentals". Then click continue. 5. Fill out all required fields, including your apartment number. If you are paying your security deposit, you can use the address of our office: 1149 E. Brooks St. Norman, OK 73071. Enter a password (create a new one, do not use your e-mail password). Then click continue. 7. 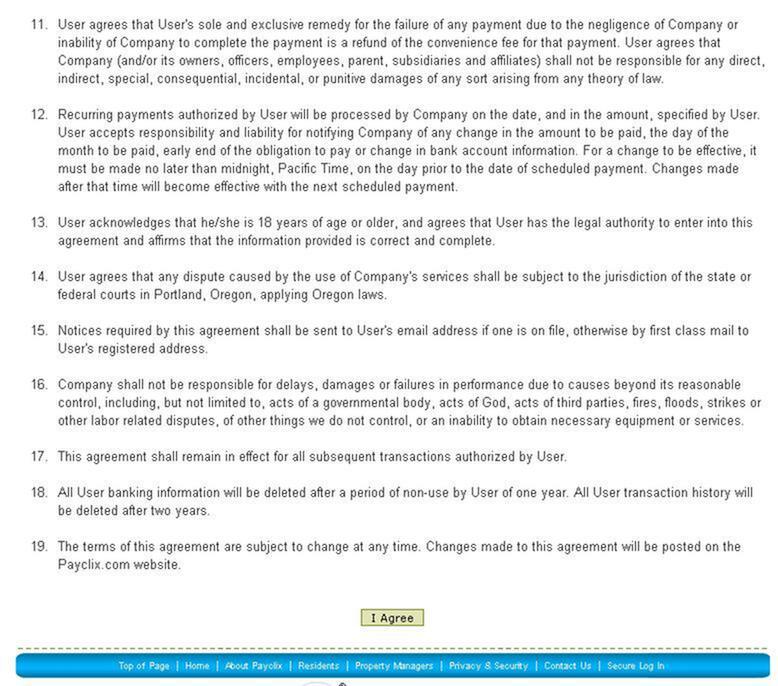 This is the user agreement, read the entire page carefully. After reading this page, click "I Agree". 8. Check your email! A confirmation e-mail will be sent to your e-mail address. Please follow the link in that e-mail to complete your account activation, & to make a payment.